Parking is in limited supply in many different places. In order to increase the number of parking spaces, as well as control who parks in them, many companies have erected parking structures on their properties. You’ll see a lot of these at hospitals and large businesses located in heavily populated areas. Those businesses control parking by using tokens or scannable ID cards, while the hospitals charge people for parking in their lots. The charges allow them to pay for the overall upkeep of the structure. However, there’s a downside, in that usually an employee needs to be present to process the payment before people can leave. This isn’t the case with these new pay and display parking systems. Here are three reasons why you need to have them installed. The newest range of pay and display parking systems is set up to be completely automated. There are several options here. Either the person gets a ticket upon entering the lot that is then scanned or inserted into the machine on their way out of the parking structure. The machine then tells them what they need to pay, and they can use the money and credit card slots on it in order to pay the fee. Once they do so, the lever will rise and the person can then drive out. The other method involves the use of cards. This is great if you have a company owned structure that is designed solely for the use of your employees. Only those who scan their identification cards can enter the parking lot. They have to scan their identification cards again on their way out of the lot. This creates a record of who has parked there, as well as limiting the people who can enter. Either way, you won’t have to pay an employee to process the tickets, take the payments, or scan the cards. This will save you money in the long run. Since everything is automated, you’ll have fewer headaches, and if someone needs to be present, for example, if someone is having a hard time entering their money or scanning their card, an employee will be alerted. In between having to help, you can give that employee other tasks to complete. 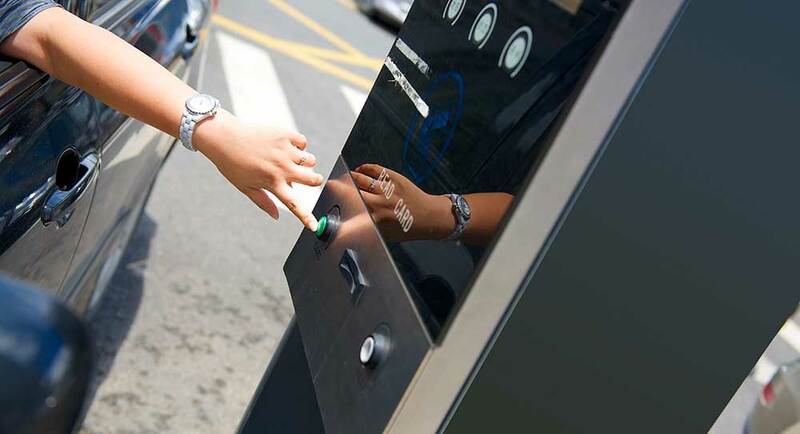 This creates a very good situation for you, thanks to these pay and display parking systems. Another downside to having an employee present in your parking structure is the fact that they are left vulnerable. Often, these offices and booths are located very far away from the main building. They are exposed to the elements and located near the street, at the entrance to the structure. If someone wanted to rob them and take the parking money that they have on hand in the register, then they could, and few people would see the robbery in progress. It just isn’t safe. Thankfully, these pay and display parking systems are not so easy to burglarise. They are tamper proof and made of heavy-duty materials. People aren’t able to break into them, get the money that is trapped inside, or mess up the controls to allow cars to go in and out without paying. This means that not only do you not have to pay an employee to keep an eye on things, but you also don’t have to worry about that person getting robbed. This presents a very good, secure scenario where everyone is safe and the bad guys simply don’t get away with it. In addition to the pluses that we mentioned above, these pay and display parking systems allow you to monitor who goes in and out of your parking structure. You can have a camera trained at the entrance and exit that will take pictures of the vehicles when triggered to do so by the pay and display parking system. Plus, you can set up the system so that employees need to scan their identification cards when they enter and exit. This can be combined with the camera system so that you know who drove which car. If you ever need that information later, for example, if someone should go missing, need an alibi, or you need to prove that they were at work that day, then the system will do that for you. You just need to retrieve that information. Overall, pay and display parking systems have a number of good points. You can monitor the people who park in your structure, as well as make them pay for their parking time. All of this can be done without an employee present, which lowers the odds of getting robbed.